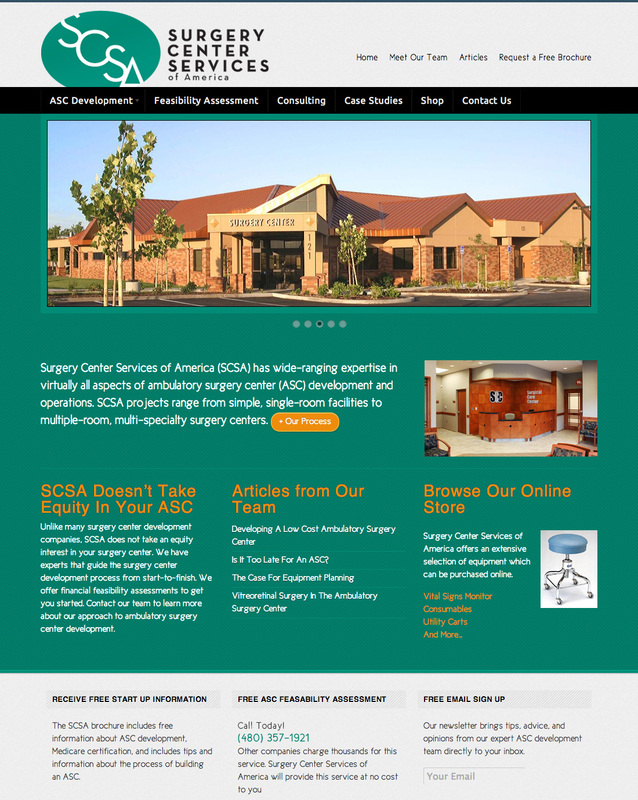 Our team has had the pleasure of working with the excellent team at Surgery Center Services of America (SCSA) for a few years now on web site design, development of an ecommerce store, and search engine optimization. We have collaborated with SCSA on the design of their site, as well as all aspects of their ecommerce storefront. 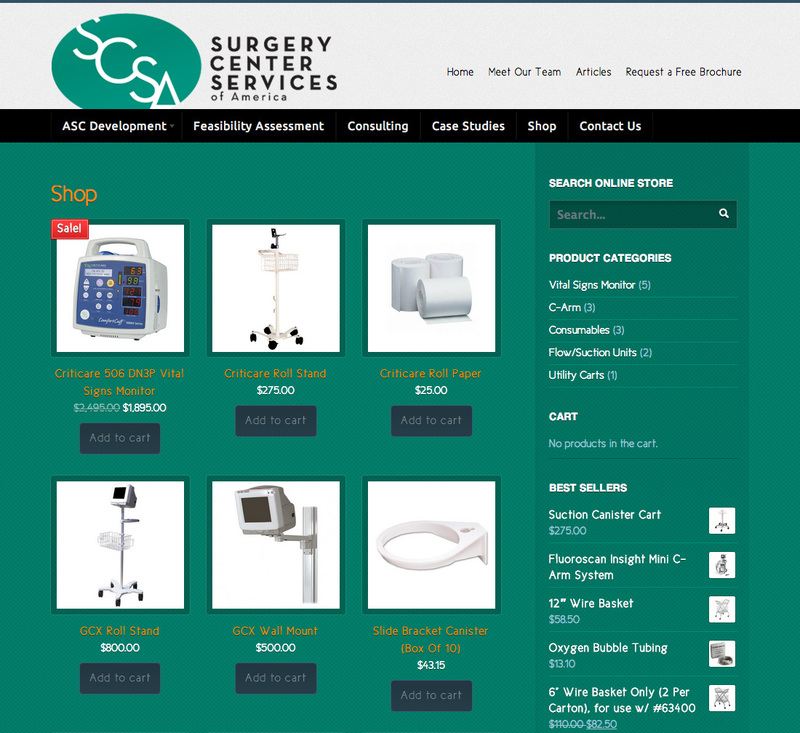 SCSA is the leading firm in the operation and development of ambulatory surgery centers. Their business is to consult with and manage the construction of ambulatory surgery centers. Unlike most firms in their space, they do not take an ownership in the facilities they build, instead assisting doctors and investors with all aspects of operation and management. We integrated the entire web site with WordPress (wordpress.org) which has made upgrades and site improvements, including search engine optimization easier. We integrated with WooCommerce (woocommerce.com) for the ecommerce shopping cart engine and with Stripe (stripe.com) for the payment processing. We also found and optimized all of the product images on the web site. The best part about WooCommerce is the number of extensions/plugins available (more than 200). We’re able to integrate with a multitude of shipping APIs, payment gateways, and implement additional features like advanced administrative tools and storefront feature improvements that would have otherwise required custom development. As an ongoing project, our team has been providing online marketing services for SCSA by doing extensive search engine optimization and copywriting. Our team is writing product descriptions and optimizing the entire shopping cart experience. We’re targeting the general keyword of ASC development, and by continual iteration have increased traffic steadily.